Low range pressure transducers and transmitters for measuring draft air pressure in air handling systems. Draft pressure sensors are used to measure the amount of vacuum or suction pressure generated by air moving or expanding through an air duct, ventilation shaft, flue or chimney. Draft pressure is typically measured in inches of water column, millibar or pascals pressure units. A draft differential pressure sensors has two ports for measuring the difference between two positions, across which the draft is generated. A draft gauge pressure sensor will measure the draft pressure relative to the local atmospheric pressure, and depending on the installation can be configured as positive or negative gauge pressure sensor. If the draft air can move in the reverse direction, then a differential or gauge reference pressure sensor can be scaled with a bi-directional range such as -6 to +6 mbar so that the draft air pressure can be measured in both directions. 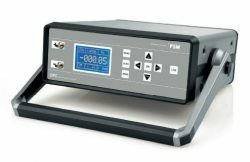 41X Low Range Digital Output Pressure Sensor- Low pressure sensor with a USB, RS232 or RS485 digital output interface for measuring low range gauge or differential pressures from 10 to 300 mbar. DPS200 HVAC Differential Pressure Transmitter- Differential air pressure sensor with a 10 volt or a 4-20mA output for building ventilation applications. Ranges from 0 to 6 mbar up to 0 to 1000 mbar. DMP343 Low Range Pneumatic Pressure Sensor- DMP343 pneumatic pressure sensor for measuring very low range pressures on pneumatic control systems, heating, ventilation and air conditioning systems (HVAC) . DPS300 User Switchable Pressure Range, Volts or Current Output Low DP Sensor- The DPS 300 is a low range HVAC differential pressure sensor for measuring pressure drops across air filters and airflow through and between ventilation ducts. The lowest possible pressure range is 0...100 pascals and the highest is 0...1000 millibars. User switchable 2 or 3 pressure ranges and volts or current output are included with most standard configurations. DPS Low Differential Pressure Transmitter- Ultra low differential pressure transmitter for HVAC applications with 4-20mA current loop or amplified voltage output signal in pressure ranges from 0.1 mb up to 1 bar differential. IMPLR Low Range All Stainless Steel OEM Pressure Sensor- Low cost sensor for measuring small pressure ranges from 0-50 mbar (10 inH2O) to 0-1000 mbar (15 psi) of liquids or gases. DMD341 Compact Differential Air Pressure Sensor- Small size dp sensor for measuring differential air pressure on HVAC, compress air and pneumatic control systems. 41X High Precision Low Range Pressure Transmitter- High precision pressure transmitter for measuring very low vented gauge reference or differential air pressures. Rangeable 4-20mA or 0-10 volt output. PrimAtü 10 Low Cost Low Range Differential Air Pressure Transducer- The PrimAtü 10 low cost low range differential air pressure transducer can detect and display both positive and negative differential pressure variations of very low low pressure ranges from 0.5 up to 1000 mbar/hPa, and output the pressure as a 4-20mA, 0-20mA or a 0-10Vdc analog output. 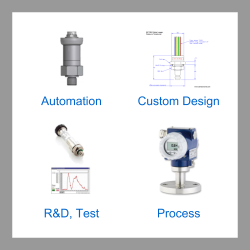 Send us your enquiry for Draft Pressure Sensors to get assistance with this product type.